There is no doubt that Cambodia’s startup scene is one filled with blooming opportunities and potential, and many, from local investors to international media, have predicted a rosy future awaiting the Kingdom’s tech development. Various founders have, in fact, proven the predictions true after venturing into the garden of entrepreneurship and emerging with the fruits of their innovation – a successful product, service or business. Startups can sprout from a myriad of fields – tech, digital, fashion, food, education, finance, the list only grows, but there is one thing that they undeniably have in common. That is – navigating the path of starting up is tricky, and never easy. The word ‘entrepreneurship’ has always been closely linked to risk-taking, and the uncertainty of it may even deter some from pursuing this journey. But just as much as entrepreneurship is linked to risks, it is also associated with innovation and solution, which is exactly what TEKHUB, The Asia Foundation and Cambodians In Tech have prepared this April – a solution to help elevate the struggles of budding startups. 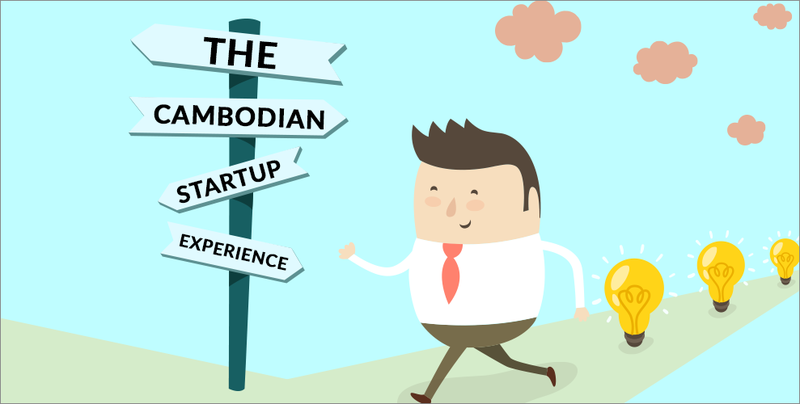 Appropriately named ‘The Cambodian Startup Experience’, this event would host a panel discussion on the topic of the experience of starting up in Cambodia. Panellists are seasoned players in the startup field, including Sok Sopheakmonkol, founder and CEO of software company Codingate, In Visal, co-founder and CTO of Khmerload and Little Fashion, Chea Langda, founder of Book Me Bus, and Plong Malypeour, founder of Stops Near Me. This panel discussion presents you with the opportunity to hear straight from these successful Khmer entrepreneurs about their challenges and how they overcame them. They would also be sharing on how to navigate the tech startup environment in Cambodia and their journey on how they came to where they are today. It will then be followed by a Q&A session, which is your chance to receive any answers to your burning questions straight from the founders themselves. No emails, no Facebook messages, no wait required. And best of all? It’s all free – just grab a chair, take a seat and enjoy two hours of inspirational stories and enriching information. The event will be held at TEKHUB, located on the 2nd floor of The Asia Foundation, from 11am to 1pm on 22nd April. For more information, please visit their Facebook page here: https://www.facebook.com/events/283053062106727/. An opportunity to meet and mingle with these entrepreneurs is not an everyday affair, and Geeks in Cambodia is in full support of this event that is not only inspiring, but also lends a helping hand to budding startups. For more latest news and events, do stay locked to Geeks in Cambodia!